Author: Yvonne Treis. Series edited by: Hans-Jürgen Sasse †. 22 pp. Roman, 445 pp. 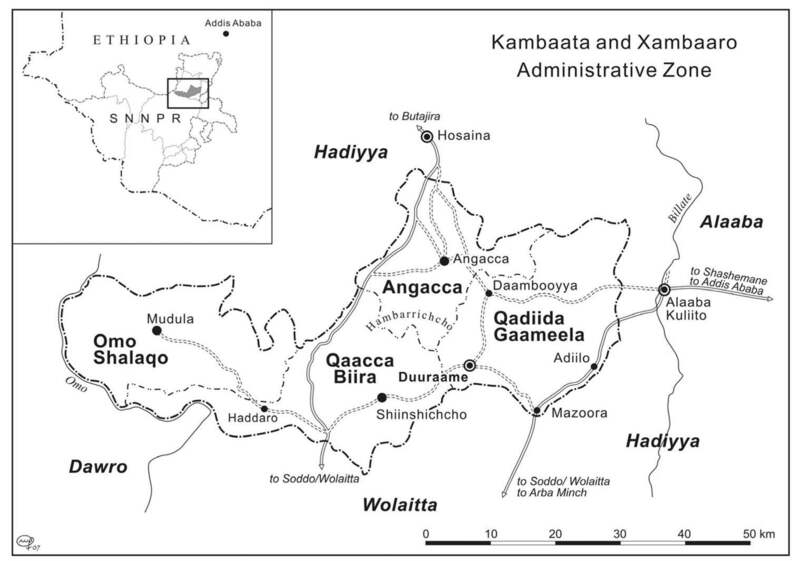 Kambaata (self-name: Kambaatissata) is a Highland East Cushitic language spoken by several hundred thousand speakers in the Ethiopian highlands, around the Hambarrichcho massif in the South of Ethiopia. The current book constitutes the first part of an in-depth grammatical description of the hitherto hardly explored language. Kambaata is a language particularly rich in morphology. The first chapter provides a short introduction into the classification of the language as well as the economy, environment, society and history of its speakers. The subsequent chapters (2-5) address phonological and morphophonological issues and explain the grammatical importance of accent. Chapter 6 summarizes the features defining the Kambaata word classes. 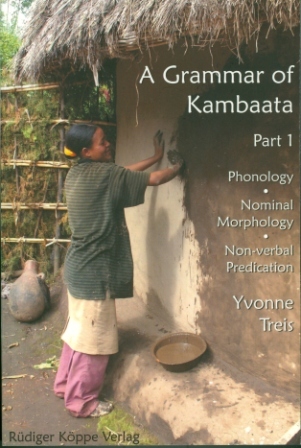 The central chapter 7 focuses on the morphology of noun and deals with the complex functions of number morphemes and the elaborate Kambaata case system, which distinguishes not fewer than eight case forms in various nominal declensions. Chapter 8 advocates a word class of attributes, encompassing adjectives, numerals, and demonstrative modifiers. Members of this word class are defined by their ability to agree with their head nouns in case and gender. The pronoun chapter (9) discusses, among others, recent innovations in the personal pronoun system, takes a look at reciprocal pronouns and examines the functions of the four types of demonstrative pronouns. The final chapter (10) of the book analyses non-verbal predication and describes the intricate distribution of the Kambaata copulas. Kambaata is used as a medium of instruction in primary schools. The official orthography is Latin-based. The book contains a lot of diachronic, comparative and typological notes. Due to the richness of information concerning anthropology or ethnology the book may be of use to specialists dealing with these fields. It is also a first-class source for those interested in morphology because Kambaata has extremely rich morphological structure. For descriptive linguists it is an excellent guide of writing a grammar. Finally, the book is to be highly recommended to Cushitists because of comparative remarks on other Cushitic languages.